Note: This review first appeared on Drama Panda (HERE). Also you may be interested in listening to the discussion on Deathblade's Channel where he offers a critique of some of the translation's decisions (particularly the way names were translated). You can listen to Deathblade's thoughts HERE. 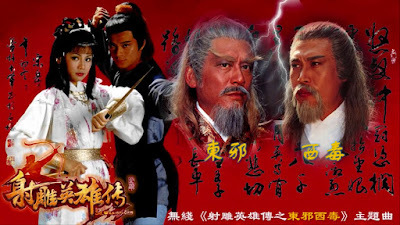 Legend of the Condor Heroes is a wuxia classic by Jin Jong about two sworn brothers who take very different paths in the aftermath of a family tragedy. It is also a story of love and adventure. This is a review of an official translation of the first book in the series, A Hero Born. It is translated by Anna Holmwood and published by MacLehose Press. Set in the Song Dynasty during the period of the Great Jin, a Hero Born follows the life of Guo Jing, a descendent of Guo Sheng (a character from the Water Margin). Before birth, his father, Guo Xiaotian, is killed by soldiers sent by a corrupt Song official and his mother finds refuge on the Mongolian Steppe, where Jing is trained by the Seven Freaks of Jiangnan and raised in the court of Genghis Khan (when he is still Temujin). His father's sworn brother, Yang Tiexie, disappears in the attack, and his son, Yang Kang, is raised elsewhere (which I won't get into here to avoid spoilers). The Seven Freaks of Jiangnan promised one of the Seven Immortal Taoists, Qui Chuji, to train Guo Jing so he can duel Yang Kang (whom Qui Chuji vowed to find and raise). The story follows Guo Jing as he leaves the steppes for the central plains, where he meets his future love, Huang Rong and the two encounter a number of other colorful characters. The action cultivates at the residence of a Jin Prince, where martial heroes abound. Along the way, are amazing displays of martial arts, battles on the Mongolian steppe, strange heroes, and terrifying villains. Among the villains, my favorite are a macabre husband and wife team nick-named Copper Corpse (Chen Xuanfeng) and Iron Corpse (Mei Chaofeng). They stole the Nine Ying Manual from their master at Peach Blossom Island and bully the martial world with their Nine Yin Bone Claw. The heroic couple in the story, Guo Jing and Huang Rong, make an interesting pair. Guo Jing is slow-witted but good-natured and loyal. Huang Rong is smart and lives in the shadow of her father, who is a feared and powerful unorthodox master. When they first meet, she is dressed as a beggar, and the two fall in love when he treats her kindly despite her disguise. One of the things I love about wuxia is how it draws on history but also blends in other elements freely. In A Hero Born, Genghis Khan is a character, and a believable, fully realized one. He doesn't feel out of place or so elevated on a platform that he stands out. You still sense his power and importance, but he is treated like all the other powerful characters in the story and I think that is something of an achievement. This is a recurring feature of the trilogy. In the follow-up, Return of Condor Heroes, Kublai Khan is an important character. In terms of the quality of this particular book, the prose is solid, though again I must emphasize I was reading a review proof copy, changes could be made. The naming conventions are a little unusual. Some of the characters have descriptive names and others are direct transliterations. 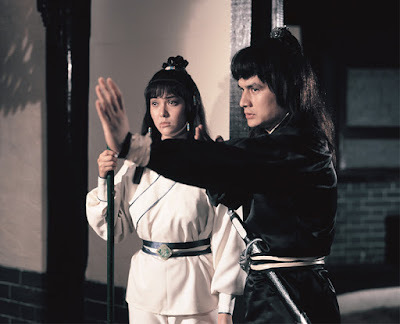 So Huang Rong is Lotus Huang in this version, but Guo Jing, remains Guo Jing. While this didn't disrupt my enjoyment of the translation, I do think it could produce confusion. And in some instances, the name didn't feel like a good fit (for example Mei Chaofeng is called Whirlwind Mei, and it just kind of feels off to me). But this is my only real criticism of the translation. Again I am not a translator and my thoughts on this aspect of it should be taken with a grain of salt. Another thing to be aware of, A Hero Born is the first nine chapters of the book. So if you decide to continue the series by fan translation and are reading a version that groups them into volumes of 10, you may need to go back one volume to get the tenth chapter. My understanding is they will be releasing one volume of the first book each year. I think this book is a good introduction to the wuxia genre and the works of Jin Yong. It is however, only the beginning. Hopefully those who read it will be enticed to seek out the following volumes and the other two books in the trilogy. 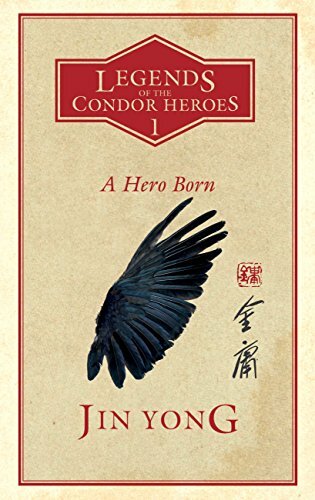 In my opinion, the Condor Heroes trilogy is a rewarding read. It is a saga spanning generations, with endlessly inventive characters and martial arts. It is also full of drama, plot twists and unexpected turns. The story is so popular it's been made into multiple full-length television series and movies. And there are good reasons for this, so if you want to find out more about the story, you can check out Legends of Condor Heroes: A Hero Born (which is scheduled to come out this month). Note: For the purposes of this review, I am using the standard names of the characters for clarity. In the proof I was sent, some of the names are different, for example Huang Rong is translated as Lotus Huang.